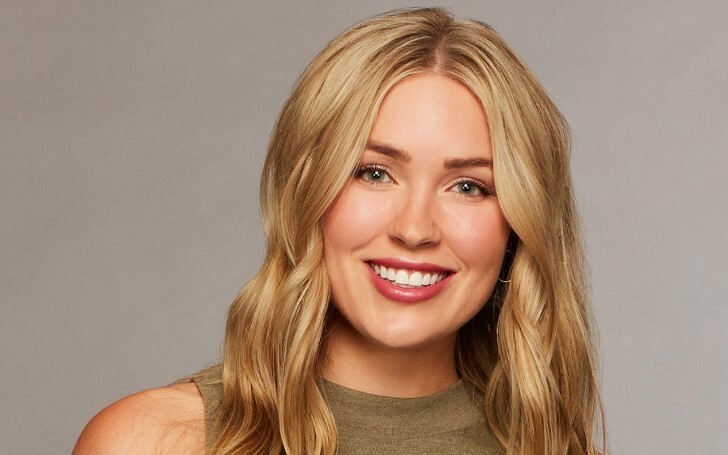 The contestant from the ABC's The Bachelor, Cassie Randolph receives skepticism for being on other show while also appearing on the former one; see how her ex-boyfriend is defending her on this criticism of Randolph's. Considered a true frontrunner in the current season of ABC's The Bachelor, Cassie Randolph has gone on to receive some criticism earlier this week when it was revealed that she’s also currently starring on another reality show with her ex. After Cassie Randolph and Colton Underwood’s steamy, PDA-filled date on The Bachelor’s Feb. 4 episode, the show-goers were pretty much convinced that Randolph would be the woman to win his heart. However, it wasn’t long before the people started to see her with some cynicism, when it came in knowing that Cassie was also the starring on another reality show called Young Once, which premiered its second season that very same night. The show, which airs online on Castle, is a docuseries that follow a diverse group of graduates from Christian colleges who are currently residing in Southern California. The show, in particular, focuses on navigating dating, marriage, debts, and career decisions that go against the Californian norm. The real issue, though, is that Cassie is being featured in it alongside her ex-boyfriend, Caelan Tiongson. And ever since that, it has not been all roses and walks on the beach for the 23-year-old contestant. Despite other three cast members, Young Once especially centers around Cassie and her ex-boyfriend Caelan Tiongson, who is now emerging out the from the obscurity defending Randolph’s decision to appear on The Bachelor. While doing so Caelan even posted a photo on Instagram of himself and Cassie alongside two of their friends giving his own perspective on the situation "so no words can be misconstrued." Tiongson wrote a long description explaining, Young Once was filmed even before Cassie's butterfly-filled entrance at Bachelor Mansion. "As many know, my ex girlfriend is currently a contestant on the tv show The Bachelor. The both of us have also appeared on a documentary series called Young Once, the guy began "The show catches you up on our lives as the first season was shot at Biola University while we were still going to school there." Tiongson then explained that filming "happened to catch the closing of mine and Cassie's on and off relationship during the recording of this show." Young Once's second season just began, and Cassie's ex blamed the rather blatant timing. "Make no mistake that Young Once was filmed before The Bachelor, and the fact that they are airing at the same time is a strategy to attract viewers," the former boyfriend continued. "Both Cassie and I made mistakes in our relationship, but I think we'd both agree it dragged out much too long anyway. This is because I persistently pursued a reunion and she knowingly kept the door open at times because of indecisiveness, neither of which matters because it has been over for good since before she went on The Bachelor." The 26-year-old basketball player also admitted "without a doubt" he and Cassie "were not a great fit for each other" but he still admires her. "The reality of the situation is that Cassie is a great girl. Her decision to go on The Bachelor was a decisive moment in my life to move forward so why couldn't it serve as that for her as well?" he wrote on her bedside. "Nobody has the right to tell her whether or not she has good intentions. So although the full truth may not be out...not everybody's business needs to be on reality tv." Caelan explained, "I post this because of the outlets who reached out to hear 'my side' and because I heard Cassie was receiving a lot of negativity for our past relationship. I thought this would be the best way to preserve the truth and encourage the trolls to check themselves before tearing down a good human being." The Filipino then ended his statement saying, "Cassie will eventually explain her side and I endorse whatever she says because there is no reason for her to hide the truth. I wish her nothing but success and happiness moving forward." "Caelan and I dated all through college and in 2015 we filmed Young Once. A while after our breakup we put our past behind us and became friends again," she expounded. "We share a lot of mutual friends and he is close to my family. We both dated other people and had moved on”, Cassie responded on Instagram on her role and relationship with Tiongson. Cassie then described that she and Caelan "considered getting back together" last spring, but it "didn't work out." "Just because we didn't work out doesn't mean we now hate each other and don't care about the other." "We were on and off for so long that turning it off for good was a difficult decision as I truly didn't want to regret giving up if we were meant to be. But certain things were unhealthy and it became clear we were supposed to move on”. She also provided some background into the second season of Young Once, which happened "unexpectedly and out of the blue." The show apparently reached out to her and discussed Season 2, which is "a follow up on some of the original cast. This again put Caelan and I directly back in each other's lives." "One of the storylines highlighted is our drawn out/complex relationship and the challenges of us staying friends post-breakup and whether it is possible or not," Cassie clarified. According to Randolph, Young Once's filming happened "several weeks" before Caelan returned to the Philippines for his basketball career and her casting on The Bachelor. Cassie then ultimately finished elucidation saying "The timing of everything was completely chance. I care very much about Caelan and I want nothing but the best for him and his life." And although the backlash has been pondering continuously on this Huntington babe, there has been no denying that she is also the most probable girl to have triumph over Colton's heart. We’ll just have to wait and see how this season of The Bachelor plays out and where things will stand for Cassie and the former NFL player at the end. The next episode of the Bachelor airs on Feb. 11 at 8:00 p.m. on ABC.